Like the mantra goes for humans, your dog is what he/she eats and how they digest – and which is why a nutritionally-dense natural dog food such as Nutriment Dinner for Dogs chicken should always be on your shopping list. Containing an impressive 75 per cent fresh chicken meat with bone, this formula also includes fresh vegetables, herbs and oils. Then there are the wonderfoods such as curly kale, spirulina, coconut oil and raw sea kelp. You’ll notice the benefits, not only in your dog’s outward appearance (a glossy coat) but also in terms of strong bones, teeth, gums and an excellent digestive system. Feed 2-3% of the dog's ideal body weight per day, ideally spread over two meals. 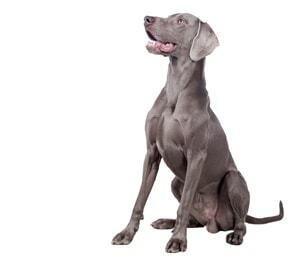 Each dog is unique and the optimal feeding amount can vary significantly depending on many factors including age, activity, metabolism and environment.